I think that First Choice movers was a great choice on my end. What a great moving experience. The whole thing went very smooth and I had absolutely no issues during the process. This is my second time moving in a couple years and First Choice was WAY better than the last company. it's honestly not even a comparison. The pricing was extremely fair and they were competing with a lot of other companies for my business. I would recommend this company to all folks. We recently used First Choice Movers. My husband and I were blown out of the water by our experience with them. when you're looking for a movie we had a specific list that we were checking off the different attributes. 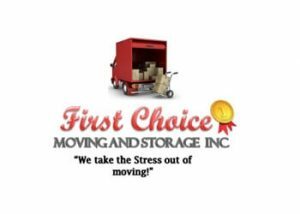 First Choice movers was one of the only companies that we spoke to where we were able to check everything off the list. They also had excellent prices. Luis, who is the supervisor during the move, was so great. We were Beyond satisfied. We would definitely recommend First Choice Movers. First Choice Moving and Storage was incorporated in 1997 and has been a trusted name for moving in Clarksville, TN. They offer both residential and commercial moves withing Clarksville and around the nation. Your satisfaction is First Choices personal guarantee. First Choice also offers the services of packing and unpacking. This entails the movers bringing the boxes and making sure everything is safe and secure. If this is your first relocation process, you might want to consider having the movers pack for you. This way, you know that it will be done professionally. Furthermore, all moves include the assembly and disassembly of large furniture. Their movers are trained in piano and antique moving. This sets them apart from so many other companies. As they know just how to to take the best care of all important items. They do also offer short & long term storage if you might not be ready for all your items. Your representative will get this all set up for you. If you think that you might be considering the storage option, be sure to let First Choice Moving and Storage know. Also inform them if you have a set delivery date that you know you will be ready. All scheduling will be completed and you will remain updated! Currently First Choice has an A+ rating and accreditation through the Better Business Bureau. So, rest assured you are in trusted hands. First Choice has just met all of the requirements for Clarksville- Montgomery Green Certification and certified in 2016. They strive to protect the community and this planet. First Choice Moving truly cares about each and every customer. They will go above and beyond to make sure that you are happy and treated with nothing but professionalism. Give them a call today to see for yourself!